If you are looking for the pieces of advice how to become a web content writer within a month, it is obvious that you already know why this system is implemented and how it works. Therefore, I will not dwell upon the meaning of the term and will not explain what SEO article writing means. I will shift to the discussion of the steps you need to make and to the SEO writing techniques, which may be helpful in the future. Writing a SEO article, you need to find the best phrase which fits the content. This phrase should be searchable. There are many different companies and statistic tools, which help to define the most searchable phrases. Google’s Keyword Tool can be one of the best tools in this respect. Having selected a phrase you need to look at it as a new SEO writer, not as a person who has already written hundred of articles. Therefore, you stay in a winning position in this respect. 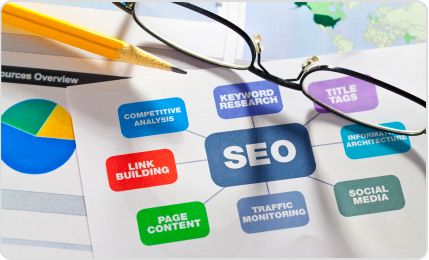 Since you are a new to SEO article writing, you are sure to look at the keywords as at something new and interesting. Creating SEO content for a very spread phrase, you need to remember about the competitors. There are a lot of articles devoted to numerous topics. Therefore, trying to make the contribution to the site, your content must be unique. It is hard, but it is possible. Don’t try to search online and rephrase the already existing information. There are many chances that such activity will not do much for you and no one will be interested in reading the information available online. Be creative. No matter what you are writing and how often you need to present the information, make sure that you do not provide routine boring content. Therefore, the SEO basics are not too difficult. You just need to remember that being a professional SEO writer is the same job as another one with working hours and the specific amount of work to do. The difference is that writing SEO content one does not cooperate with people directly, but searches for the information online or provides personal experience. The information for SEO articles is usually based on some personal experience depending on the key word and the content required. Hard work, vivid imagination and creativity are the SEO basics, no matter which keyword you have and what you are going to do in order to create your article.